Rent bareboat. 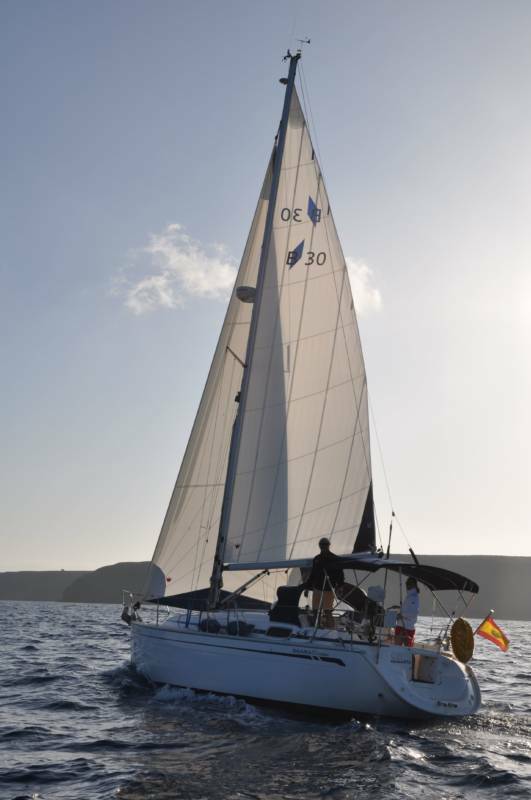 The Ana Marta is an impeccable Bavaria 30 of the year 2006, available on Lanzarote Yacht Charter without crew. This boat based in Puerto Calero, and also avaialbe in Marina Rubicon, is the perfect sailboat for nautical holidays as a couple. With its 9.45 metres of length and 3.29 meters of beam, it is the ideal boat to be handled by two crew without the need to be expert navigators, as well as coastal navigation in the surroudings of Lanzarote, La Graciosa and Isla de Lobos. The Ana Marta is dispatched to navigate in the area 4, up to 12 miles from the coast, but this does not mean it doesn’t come equipped with the EPIRB, and portable transmitter because in Lanzarote Yacht Charter, the safety of our customers is the main objective. To rule this boat without crew, you have to be titled with the Costal Yacht Master, or any European title with the necessary attributions. With this Bavaria 30, you no longer have an excuse to not enjoy sailing in your holidays with maximum privacy, and enjoy a comfortable and easy to rule boat, with your partner or friends. 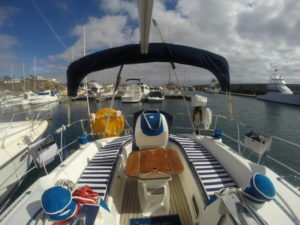 In Lanzarote Yacht Charter, we can suggest itineraries and inform you of the most complicated navigation areas, as well as organizing reservations with the Canarian ports that will guarantee a vacation without any problem of docking. Terms of payment:20% upon formalizing the Reservation; 70% on boarding .